Days after the Rashtriya Swayamsewak Sangh (RSS) suggested the Union government make a law for building the Ram temple in Ayodhya, former BJP MP and senior Vishwa Hindu Parishad (VHP) leader Ram Vilas Vedanti Saturday said that the Ram temple will be built by neither legislation nor ordinance but by a mutual consensus. 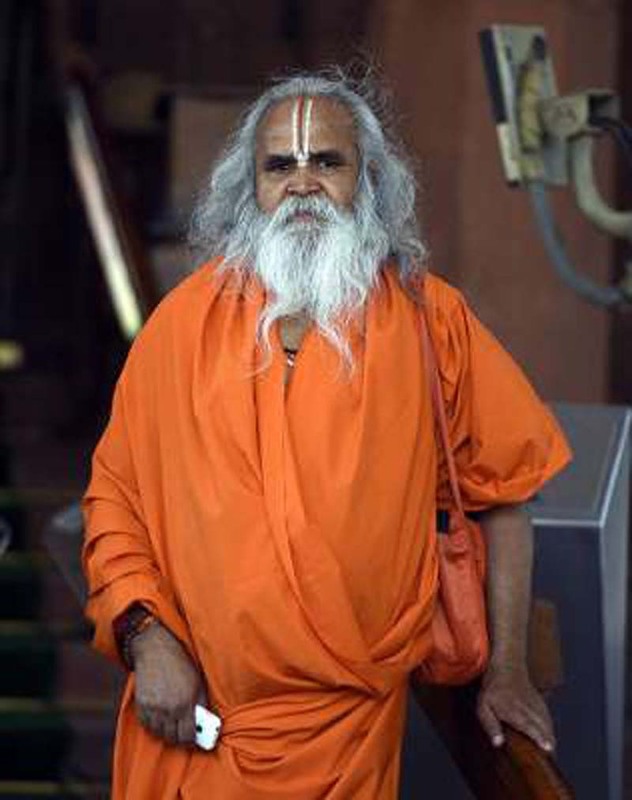 Vedanti claimed that he will start construction of the Ram temple in December, adding that it will be built in Ayodhya and a mosque can be built in Lucknow in the name of Allah. Vedanti was expressing his views on the issue at the two-day ‘Dharmadesh’ organised by Akhil Bharatiya Sant Samiti. Swami Vivekananda of Uttarakhand called PM Modi as ‘Ram ka avtaar‘ (reincarnation of Ram) and said that it would be surprising if the temple is not built during his regime. 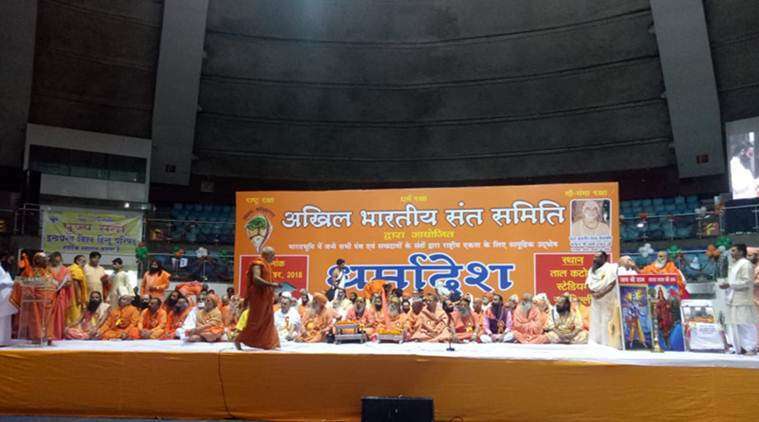 Presenting the agenda of the meeting, Ramanandacharya Swami Hansdevacharya said that the central government should make way for Ram temple construction in the line of Somnath temple. He said that discussion would be done on the need of a policy for population, identification of infiltrators, their deportation and the need of National Register for Citizens (NRC) in all the states across the country. He went on to add that giving employment to “infiltrators” and issuing them caste certificates was like sedition and action should be taken against those officers involved in such acts.